I often tell first-time buyers that an excellent goal is to be able to keep that first house as a rental as opposed to selling it. Interest rates on owner-occupied mortgages are generally lower and a house can be purchased with a smaller down payment if you are buying it as your primary residence. If all of us could keep every home we have ever purchased, we could, over our lifetimes, gradually build quite a portfolio of rental properties. Of course life has a way of occurring differently than planned, but the general concept is a good one. Linda and I both work quite a lot with investors who purchase and sell rental properties. It is a different experience than when you are buying a home to live in. Considerations have to be made about whether or not the property can be rented. This is especially true with condominiums. Many Home Owner’s Associations have restrictions on renting. 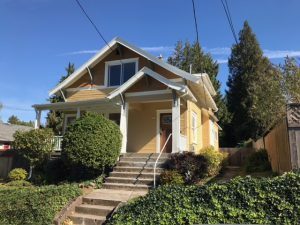 It’s also important to know that within the city limits of Lake Oswego short-term rentals, considered to be for less than 30 days, are not allowed. This means no airbnb or vacation rentals are allowed. Now comes an entirely new twist. 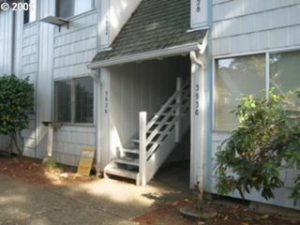 The State of Oregon has just enacted rental restrictions related to rent increases and evictions. I am not going to claim to be an expert, but I do have a general idea of what is going on. More importantly, I can direct you to a great resource with someone who is an expert. First, what’s going on. Rental increases are now restricted to not more than 7% plus the rate of inflation in any one year. This is actually quite a lot. But if you are working with a property that is grossly under rented, it will take time to bring the rent in line with market value. It also means that if you own rentals that you will eventually be selling, you should be doing rent increases while you own the property so that when you go to sell it, the rents will be in line with the market. Second, no cause evictions are now pretty much non existent. During the first twelve months of a tenancy a tenant can still be evicted without cause. Without cause means you can give notice that the tenant has to move out and not state why. You are simply demanding that they move. That’s it. But on day 366 of the tenancy the no cause eviction is no longer allowed. This means that evicting a tenant will require that you give a reason that falls within the allowed parameters. With cause can include non-payment of rent, damage that they’ve done to the property, if a government agency has determined that the property is not safe to live in, etc. One reason that you can not use as cause for eviction? That you plan to sell the house. So if you have a rental property that you plan to sell, it has to be put onto the market with the tenant in place. A tenant can choose to move when they learn the house is going to be sold. The restriction is on the landlord, not the tenant. If you get an offer from someone who intends to move into the property as their primary residence, then you can evict them. But if your buyer intends to also hold the property as a rental, then the tenant can not be evicted and the tenant will continue to live in the property after it is sold. As you can see, it’s pretty complicated. I am not an attorney and with landlord tenant law that you have questions about, you really should consult an attorney. This brings me to a wonderful resource that I have been given permission to pass along. I met an attorney this past week whose entire practice is built on representing landlords. He does not represent tenants. He also only gives advice to his clients, so he won’t do a consultation for free. He does however have a great website that has lots of information that is available at no charge. He is Tim Murphy of Murphy Law Group P.C., and his website is www.oregonlandlord.net. On his website he has summation material about the new Oregon law as well as the new laws that are in effect in the City of Portland. I hope you have found this helpful. As always, thanks for reading.